It’s an indisputable fact that exercise is good for your body, but making sure you take proper precautions and take care of your body before and after a workout is vital to your overall health. 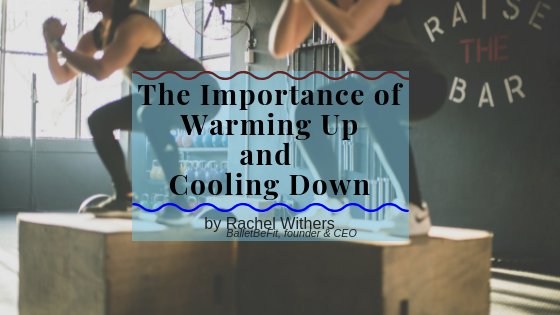 To avoid the risk of injury, taking time to warm up and cool down helps the body adjust to the start and end of a workout. While it may be tempting to start your exercises as soon as possible, being proactive and patient will pay off in the end. Before you begin your workout, it’s important to warm up, especially if you plan to primarily do aerobic or cardio exercises. One of the easiest ways to warm up is to do light to moderate physical activity, like walking around a track or doing sets of jumping jacks. Using a treadmill or elliptical at a low speed will also work, and if you’re doing strength training, focusing on specific muscle groups and doing reps without additional weight should warm you up. The goal is to increase the flow of oxygen-rich blood and accelerate your heart rate. Stretching is also an important part of warming up. Warm-up exercises like these will help loosen your muscles and make them more responsive. In addition to preparing your body for intense activity, stretching will reduce the risk of strain or injury by keeping them warm, and is thus an integral part of a workout. It was once believed that cooling down after a workout could help prevent muscle soreness. While this has not been proven, what is true is that cooling down can help prevent dizziness and fainting following a workout, especially for people who exert a great deal of energy during their physical activity. When you exercise, your blood vessels expand, sending more blood into the feet and legs. Without cooling down, your heart rate will slow considerably, potentially causing blood to pool and cause vertigo. As with warming up, stretching after a workout has added benefits. While your muscles are still warm, stretching them improves flexibility, which helps prevent injury. The process of cooling down should be a gradual one. Steadily slow your heart rate until it reaches a normal pace, then proceed with stretching. Taking the time to do this will help keep your muscles loose and keep you from experiencing any dizziness that would result from a sudden drop in heart rate.